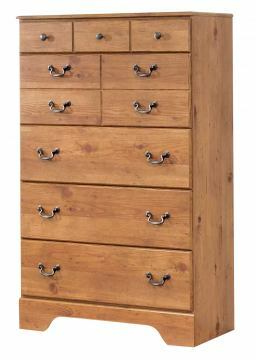 Bittersweet drawer chest . 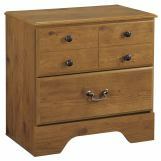 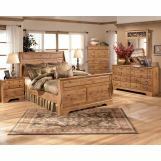 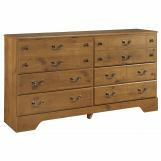 Capture the essence of early American country design with this beautiful rustic five-drawer chest. 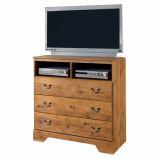 The five drawers with side roller glides allow for smooth operation while providing ample storage for clothing, essentials or extra bed linens. 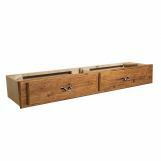 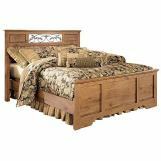 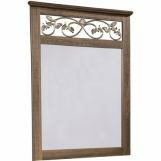 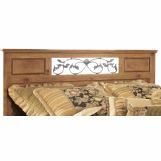 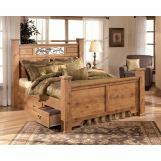 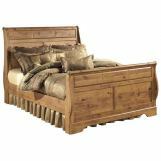 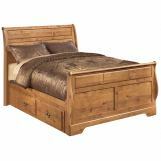 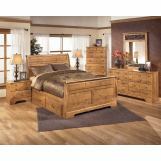 This collection will come alive in your bedroom with its replicated pine grain finish beautifully complemented by the antique color hardware with brass color highlights.